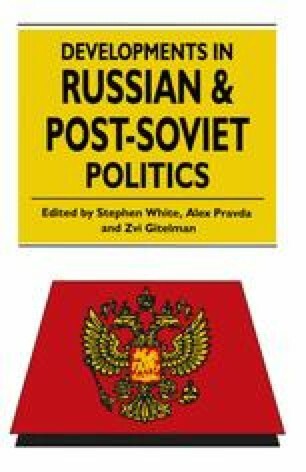 In 1990, when the first edition of this book appeared, the Soviet political system was still one that older generations of students would have recognised. The 1977 Constitution, adopted during the years of stagnation under Brezhnev, was still in force. Article 6, which gave legal effect to the Communist Party’s political monopoly, had just been reformulated to allow other parties and movements the right to take part in the administration of public life. Yet none of them, in members or influence, could hope to compete with the CPSU; and the party, under the leadership of Mikhail Gorbachev, was still insisting that it should pay a dominant role in the multiparty politics of the future, though now it would have to win its majorities through the ballot box rather than imposing them on the basis of its ‘scientific understanding’ of the laws of social development. There was a working Soviet parliament, elected for the first time on a largely competitive basis; yet a higher proportion of deputies were party members than ever before, and party members still virtually monopolised positions of influence within government and outside it. The economy was based on a modified form of planning and state ownership, and political controls were still strong in the armed forces, the courts, and the mass media.